Abraham Lincoln: A genuine titan in world history, much admired for his noble, courageous leadership, memoralised in statue at Washington. Abe battled the black dog and battled it big time, living in an era before mental health was widely discussed and treated. Read how this amazing man leaned on faith and the Bibleto get him through some sore times with vision and optimism. So who was Lincoln? Why did he suffer from severe melancholia for most of this life? 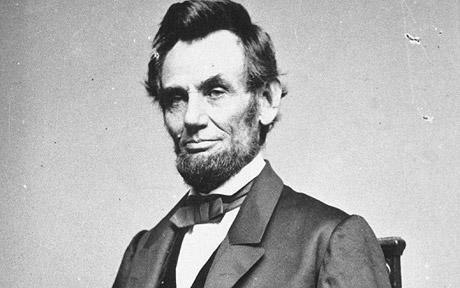 Lincoln was born into poverty and sickness encircled him for most of his childhood. Despite all this hardship he displayed qualities of perseverance, working hard to make a living by building a boat to ferry goods up and down the Mississippi. Perseverance is one of the key traits Lincoln used to beat depression. He never ever gave up, despite enormous setbacks. It was this trait he used in other areas of his life too; he failed in his first attempts to become a politician, but it did not stop him from trying again. In his late twenties he went through severe bouts of melancholic depression, not being able to see a way out of the mental fog. It is also clear that Mary Lincoln felt her husband to be too trusting, and that his melancholy tended to strike at times that he was betrayed or unsupported by those he put faith in. Was Abe too trusting? Did the eternal optimism of his mind set up him up for a life of personal disappointment at people letting him down? Did it begin at home, losing his parents early, thinking that those responsible were going to leave him? Depression and disappointment with how other people have treated you often go hand in hand. Regularly stories attest to the hurt caused by the actions of another person and how rumination about this occurs during a depressive episode. Not being able to process that hurt or rejection festers in the soul and dejects the mind and spirit, creating a heavy heart that seems to weigh people down like a boulder. It’s important to note when retrospective diagnoses are given inevitably they are hypothetical. Historians and academics do their best to extrapolate from various historical sources to their best of their ability. We don’t know for sure, however there is room for strong speculation that Lincoln was endowed with a melancholic personality and likely went through multiple episodes of clinical depression. His battle with depression was called melancholia then. It is now regarded as major clinical depression although the word melancholia lives on in melancholic subtype depression. It’s important to note the various subtypes of depression as treating different types often require different measures. In his thirties Lincoln went hard for self-improvement and mastery. He was keenly aware that he suffered from a nervous disposition and saw how that fed his depression. A deep sensitivity to the world through increased anxiety perhaps leaves one to feel experiences and impression very heavily, sometimes too heavily allowing the feeling to sink into the soul. 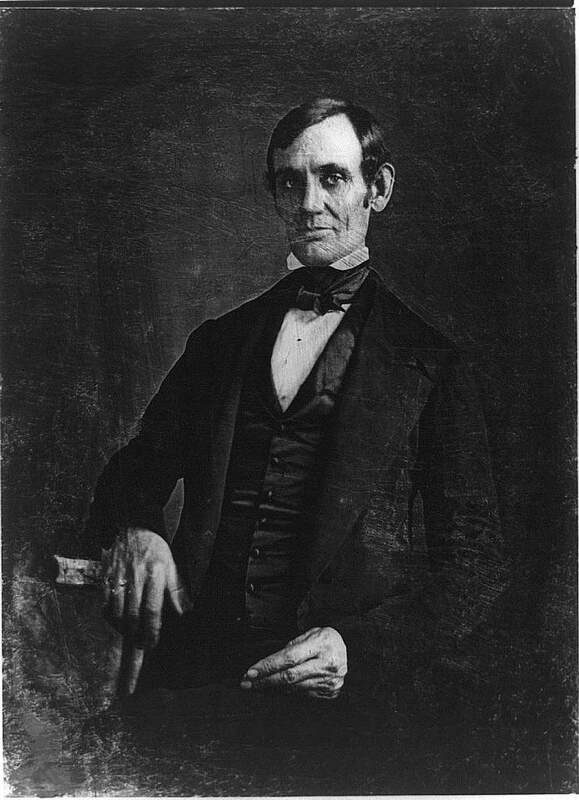 Lincoln showed a deep acuity of feeling and spent much time reflection on his own disposition and seeking various forms of medicinal treatment for his condition. Most of these medicines were not as effective as today’s treatments. He was a man who would spend time reflecting on existential reality of man and man’s meaning in the world and consequently saw pain and suffering as having a higher operation purpose which was largely not known to him although could be explored to a limited, human degree. Understanding depression in an existential framework wherein it is perceived as an agent for change is often helpful when trying to beat depression. 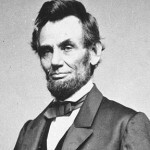 Lincoln was definitely spiritual existentialist, puzzled by the notion of the brevity, superficial meaninglessness and harshness of life but curiously exploring a divine over and undercurrent pushing into a higher force that animates, under girds and sustains this complex and dreary lot he was inextricably shoved into. His depression helped him cultivate and articulate compassionate understanding for and of the human condition to the masses. Lincoln carried forward his career and life with determination and realism, always showing, importantly, that we had the will to get well. He was a realist, and often it overwhelmed him with sadness, yet it was this trait that made him so authentic that he spoke for what he believed in. So when he did speak it came from a deeply authentic place and was received as genuine, heartfelt, authentic and real.